Valve is gearing up for the launch of the HTC Vive virtual reality headset with a particularly useful tool. 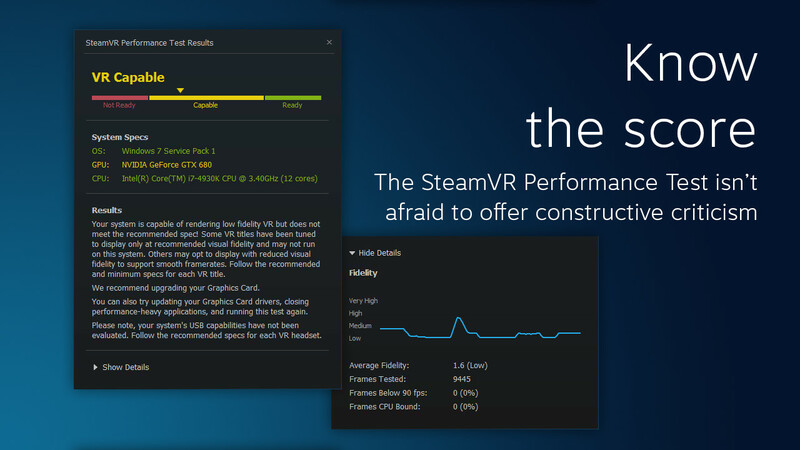 Instead of simply releasing a list of required specifications to run VR, the company has the SteamVR Performance Test – which will perform a full diagnostic and provide a detailed analysis of whether your computer is capable of handling VR games. The test runs a two-minute video of Valve’s Aperture Robot Repair VR demo, and measures the system performance. 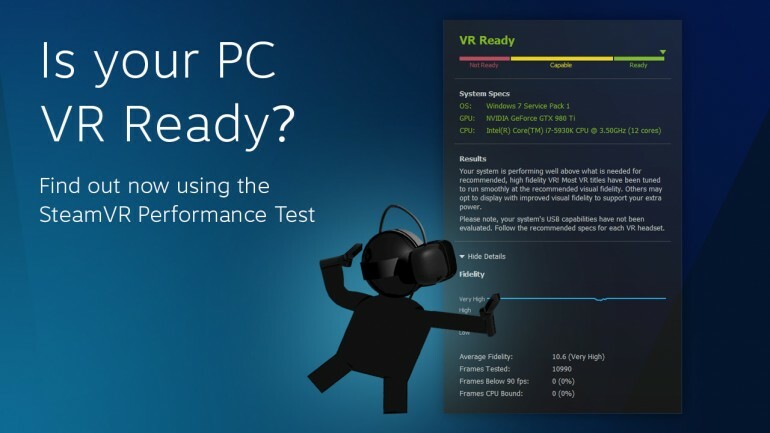 A score is then provided letting users know if they are ready for VR, or if they need to upgrade. 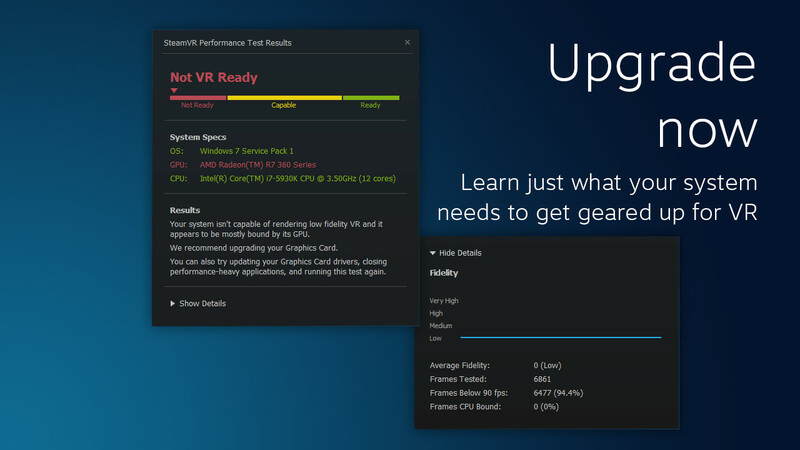 It also provides recommendations on which components to upgrade, meaning that users won’t be wondering it the problem lies with the CPU or GPU. Some users have been reporting problems running the test on laptops, since the devices tend to switch over to Intel integrated graphics when not running in high performance mode. Apparently manually switching over to the discrete GPU doesn’t help either, and users are at loss at what to do. Still, this is a minor issue and Valve will likely release a patch soon enough. Virtual reality gaming is set for its trial by fire this year, with the Oculus Rift, HTC Vive, and PlayStation VR all due for release. Both the Rift and Vive will require a substantial amount of computing power to run smoothly, which may limit the number of units sold; while the Vive’s $799 price tag might make more than a few gamers rethink the VR revolution.